You are here: Home / Articles / Politics / Is America Now Second-Rate? President Donald Trump’s recent renunciation of the Paris climate change accords has spurred “the international community” to pronounce America’s sudden exit from global leadership. Now you read in the media aspirations to look instead to Europe, Canada, or even China, to dominate the world. Some American intellectuals, viewing Trump, even wish we had lost our struggle for independence. Yet, perhaps it’s time to unpack these claims, which turn out to be based largely on inaccurate assumptions or simply wishful thinking. In reality, these countries are hardly exemplars, as suggested by the American intellectual and pundit class, but rather are flawed places unlikely to displace America’s global leadership, even under the artless Trump. We’ll always have Paris, or is it Beijing? California Gov. Jerry Brown’s recent trip to China reflects the massive disconnect inherent in the progressive establishment worldview. The notion that the country that is the world’s largest emitter of carbon dioxide, emitting nearly twice as much as the United States, and is generating coal energy at record levels, should lead the climate jihad is so laughable as to make its critics, including Trump, seem reasonable. All this, despite the fact that the U.S., largely due to the shift from coal to natural gas, is clearly leading the world in greenhouse gas reductions. Paris is good for China in that it gets it off the hook for reducing its emissions until 2030, while the gullible West allows its economies to be buried by ever-cascading regulations. The accords could have cost U.S. manufacturers as many as 6.5 million industrial jobs, while China gets a basically free pass. President Xi Jinping also appeals to the increasingly popular notion among progressives that an autocracy like China is better suited to address climate change than our sometimes chaotic democratic system. Xi has played the gullible West with a skill that would have delighted his fellow autocrat, Joseph Stalin, who did much the same in the 1930s. (“Purges? 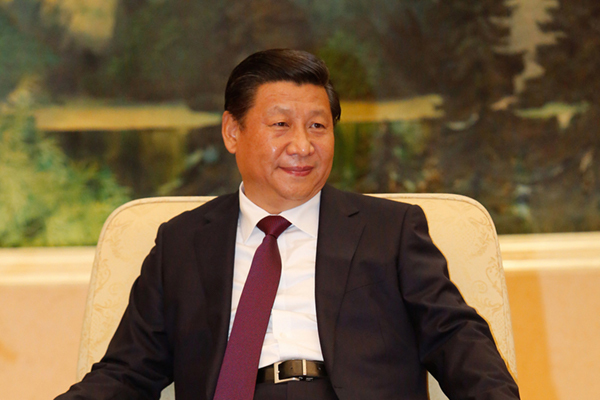 What purges?”) Of course, Xi does not have to worry much about criticism from the media — or anywhere else. Trump may tweet insanely and seek needless fights with the media, but critics of the Chinese Communist Party end up in prison — or worse. To accuse Trump of loving dictators and then embrace Xi seems a trifle dishonest. Ultimately, the Paris accords are much ado about nothing. The goals will have such little impact, according to both rational skeptics like Bjorn Lomborg and true believers like NASA’s James Hanson, as to make no discernible difference in the climate catastrophe predicted by many greens. In reality, Paris is all about positioning and posturing, a game at which both Brown and Xi are far more adept than the ham-handed Trump. Photo credit: Michael Temer via Flickr, using CC License. 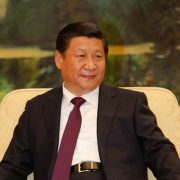 http://joelkotkin.com/wp-content/uploads/2017/06/xi-jinping.jpg 400 600 Joel Kotkin /wp-content/uploads/2017/01/jkotkin_logo.png Joel Kotkin2017-06-20 07:27:462017-06-20 07:30:38Is America Now Second-Rate?